This chapter draws on results from previous chapters, in some cases creating new syntheses by combining information across chapters and including findings of previous projects. Its specific objective is to consolidate all these findings in the design of a system to support transaction of information for environmental assessments and decision support at central and local levels, by local managers of land and species as well as by policymakers. It recognises the need not merely to provide a technological tool, but also to consider demand and supply for information in that tool, the ease of use of the tool, motivation to use the tool and cost of maintaining the tool long-term: a tool that is not desirable, practical, and durable will not last. 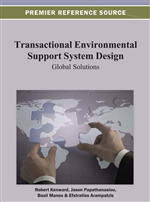 The chapter therefore first addresses who makes the most decisions, finding not only that local managers of land and species have high need of support, but also that their demand is least met by model-based decision support despite their high capacity to generate data. For this reason a system was designed primarily to accommodate needs of knowledge transfer at local level. Consideration of data quality, ownership, and confidentiality was important, together with scale, uncertainty (and resulting liability) of resulting decision support. All these considerations can be addressed by developing trust in operation of such a system, for which a basis in the civic sector (rather than in private business or government) was recommended. A portal was launched to continue informing all interests of the scope for building and opportunities from use of such a system. A supply of monitoring data that will summate effectively for use centrally, in order to enhance information for government assessments”. However, in order to provide monitoring data that covers the whole landscape systematically enough to summate for effective government planning, the system will need to be very useful for managers of farms, forests, fishing and hunting areas, gardens and council land, as well as for communities and their volunteers. Above all, a system must be intuitive to use in the context of other necessary tasks. The red, green and blue lines that denote potential spelling, grammar and other mistakes in Microsoft Word are good examples of such context adaptation, based on very extensive computing. In a TESS context, submission of a farm-plan might elicit a response “income will increase to X” but also colour a stream red to indicate likely excessive nitrate run off and flash field areas, such that if the cursor was moved over them a comment would read “Nitrate risk can be offset by increasing buffer strips to 10 m” or “90% risk of halving partridge population can be reduced to 10% by….” A system capable of providing baseline data for SEA and EIA, but also and especially of providing decision support locally for the simplest daily tasks would need to support operation at a variety of scales (See Table 1). Individual Is it too early for the Nymphalid butterfly larvae if I cut the nettles? Intelligent GIS on GPRS-enabled tablet or smart-phone. Farm Individual If I use my land like this in future, what happens to my income, game bags and nitrate run-offs? Guidance on electronic farm plan through colour codes, with comment-bubbles for proposed mitigations. Parish Community How do we route this path to optimise views while minimising erosion and wildlife disturbance? GIS-based modelling with 2D/3D views on desk-top PC by councillors in local community centre. Region If trends in land-use continue for 20 years, how can we still meet planned biodiversity targets? Scenario models of minimal subsidies for leveraging restoration through sustainable use activities.